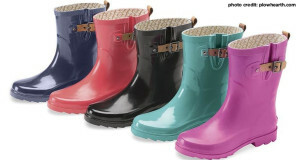 Make a splash this spring with rain boots for the whole family! Wet feet are no fun. As we transition into Spring, rainy days start to become a common occurrence., and are often the reason for ruined treks outdoors. 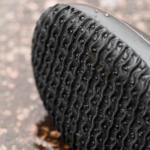 The time has come to improve your footwear wardrobe, and tackle the puddles feet-first. 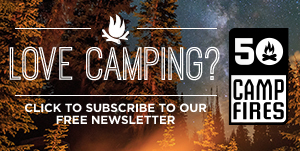 This month, we’ve tested out a handful of rain footwear perfectly suited for the entire family. Now go forth, and let no puddle block your path to a great day. You deserve it! Finding the perfect pair of rain shoes can be tricky for most guys. 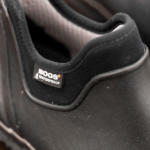 Although a full-height boot offers the most protection, they can get clunky when trying to easily slip them on and off. 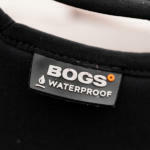 The Bog’s Urban Farmer is an ankle-height shoe that offers full waterproofing without sacrificing comfort. A built in moisture-wick lining keeps you from getting too sweaty, while their antimicrobial lining keeps the stink at bay. 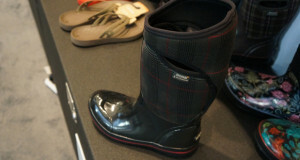 Riding the line between fashion and function can be tricky – especially when it comes to rain boots. Muck’s Cambridge boot rides the line perfectly, offering 5 different color and pattern combos in a slip-resistant waterproof boot. 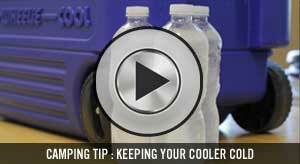 When combined with their XpressCool liner, you’ll have no problems jumping puddles with dry, cool tootsies. Early season rain has the potential to leave your kids not only wet, but cold as well. The Muck Kid’s Cambridge boots are built with a breathable PK mesh lining, ensuring that your kids feet are both warm and dry. Accented with a fun nautical pattern, they’ll look great for a full day of puddle jumping. The puddle warrior often requires appropriately themed armor. 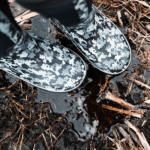 The Bog’s Digital Camo Rain Boots are ready for any splish-splashy battle that comes their way. 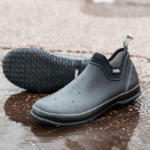 100% waterproof, these easy to pull on rain boots also boast a moisture and odor banishing footbed that’ll keep more than just the rain out.